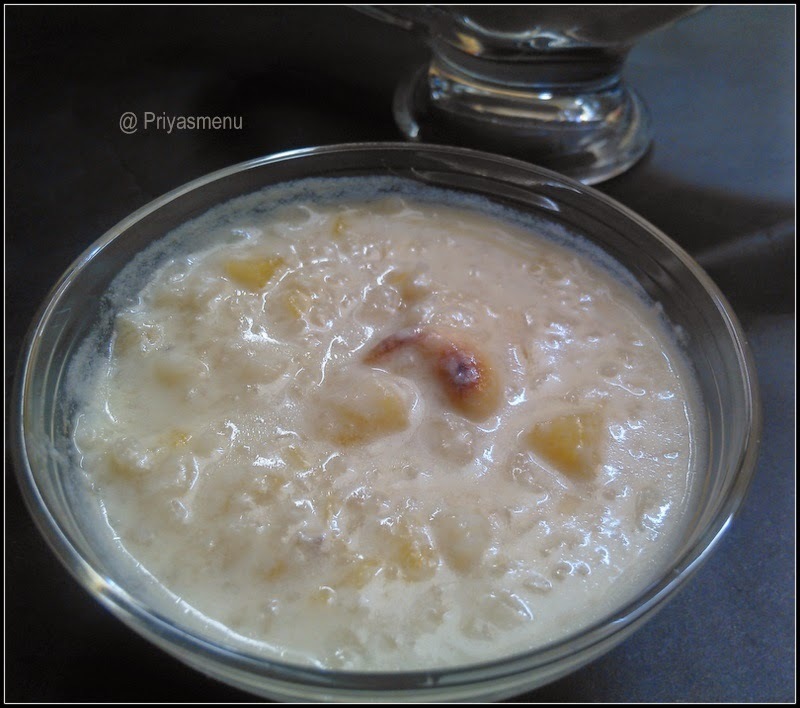 Ada Pradaman, a yummy and finger licking desert is famous in god's own country which is prepared during festivals. 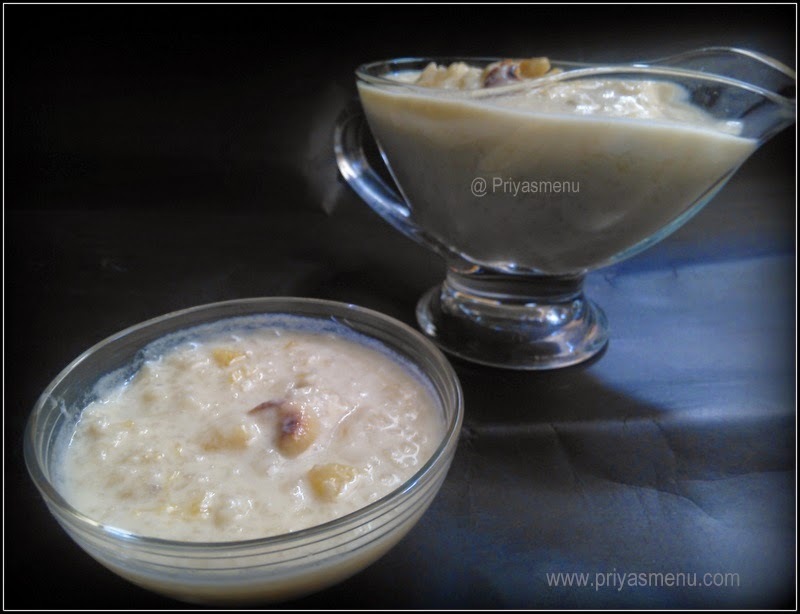 Its is a creamy dessert prepared using milk and jaggery. 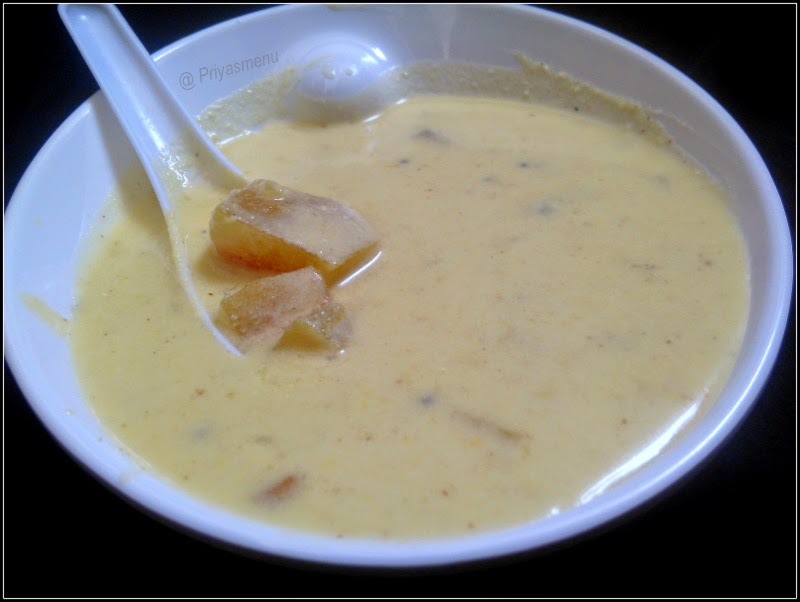 Condensed milk can also be added as substitute to Jaggery to make the dessert more creamier. 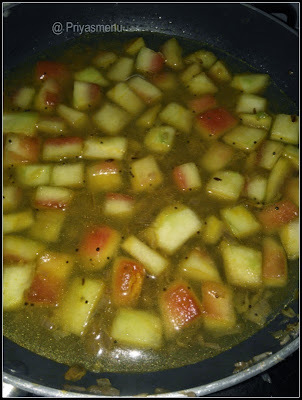 Sauteing pineapple pieces in a ghee enhances the taste and flavor. 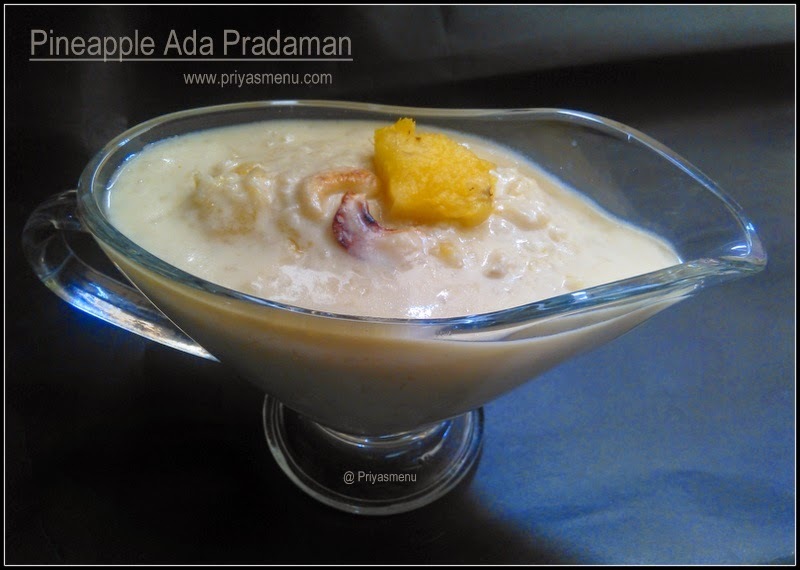 Ada pradaman tasted very delicious with a bite of sauteed pineapple pieces in every spoon. 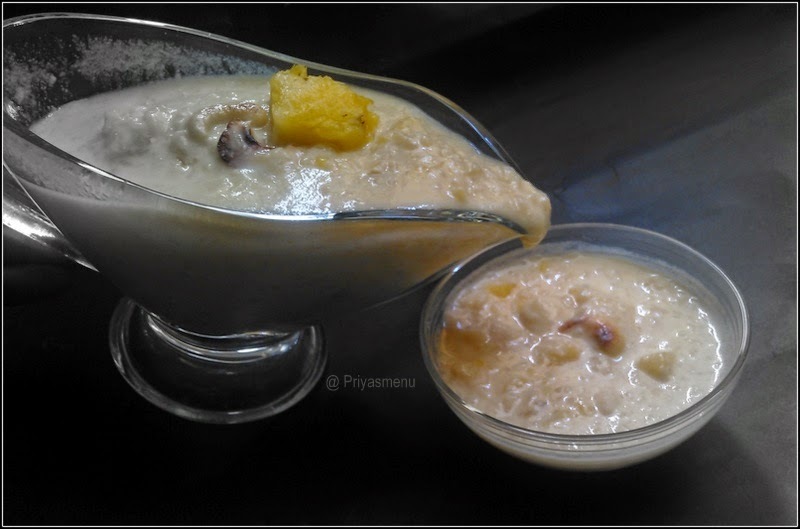 A cup of hot or cold milk can also be mixed and served as yummy drink. Boil milk and simmer the flame. Wash Ada and add it to the simmering milk. 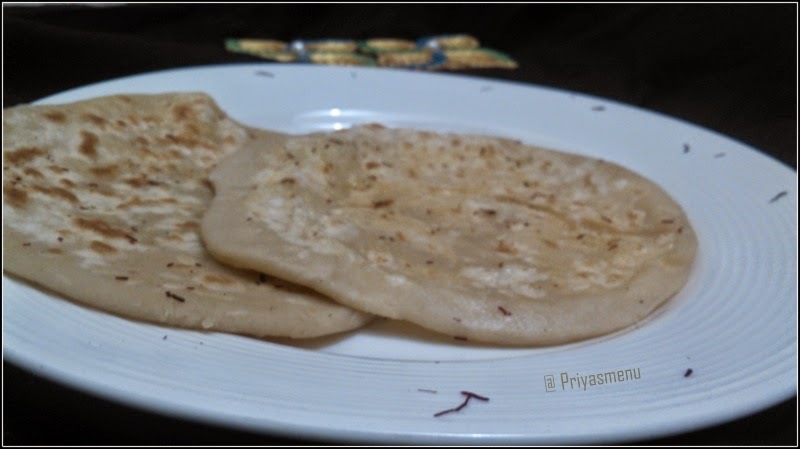 Cook it for 30 minutes or till the ada gets soft and cooked. 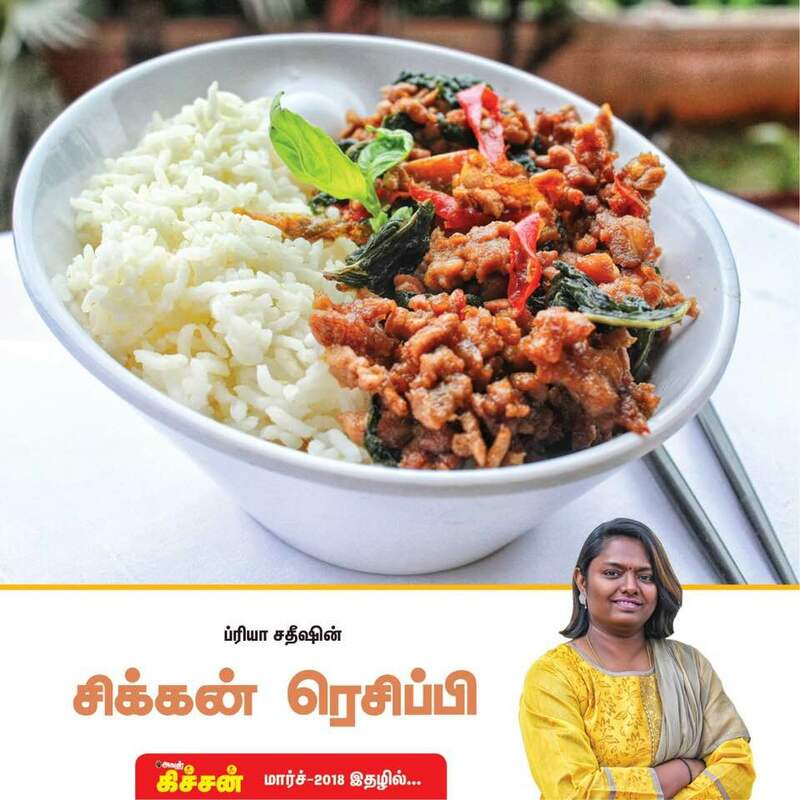 Now add grated Jaggery and mix well. 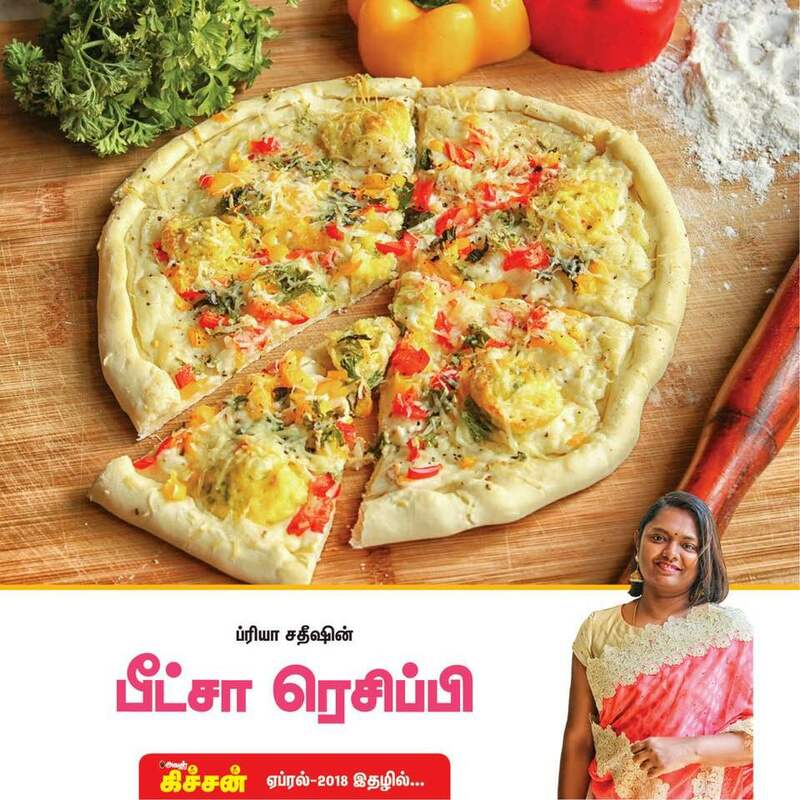 Meanwhile, heat 1 tbsp ghee and add pineapple pieces. Saute it for a minute and add it to the pradaman. 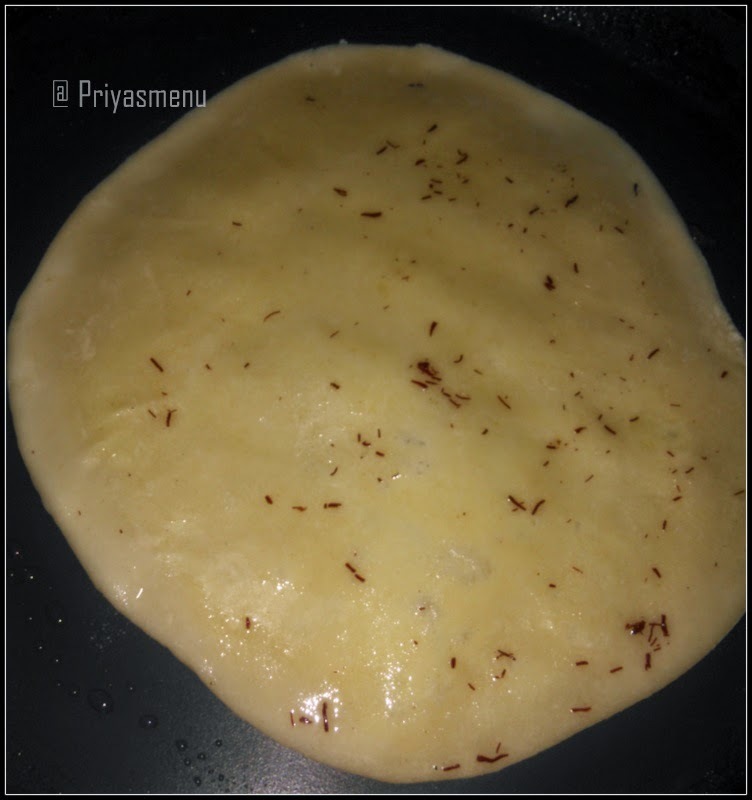 Cook it for couple of minutes in a low flame. 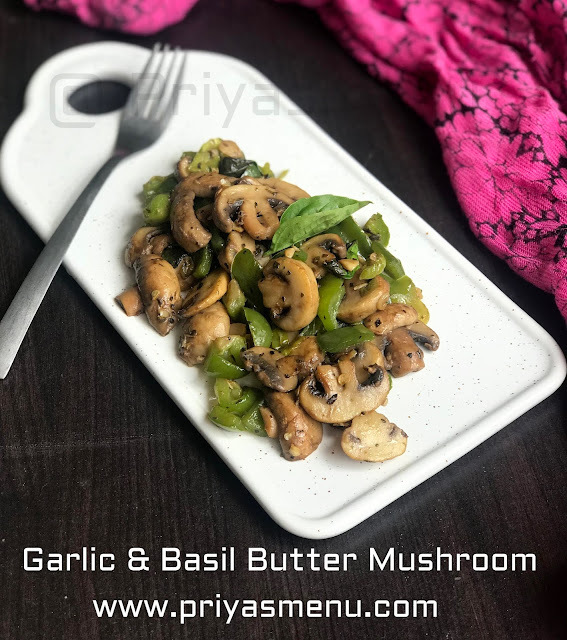 Heat 1 tbsp ghee in a separate pan and add cashews followed by Elachi. Roast and add it to the pineapple pradaman. 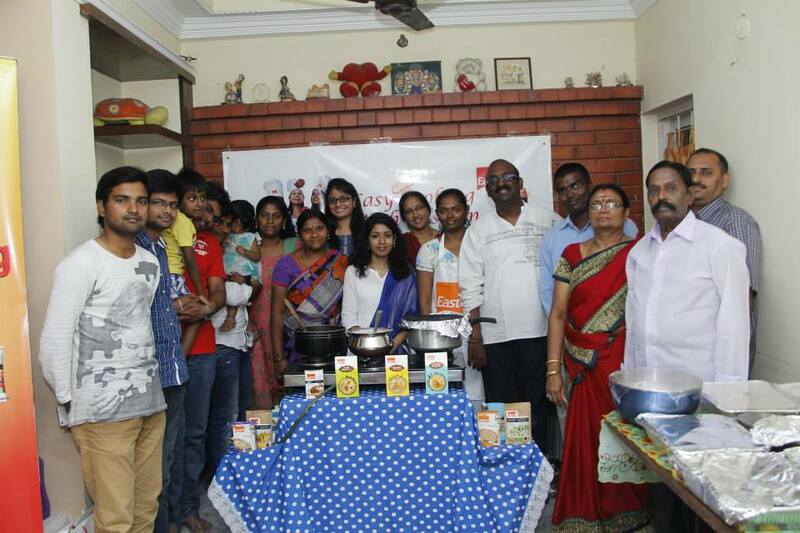 Switch off the flame and serve. 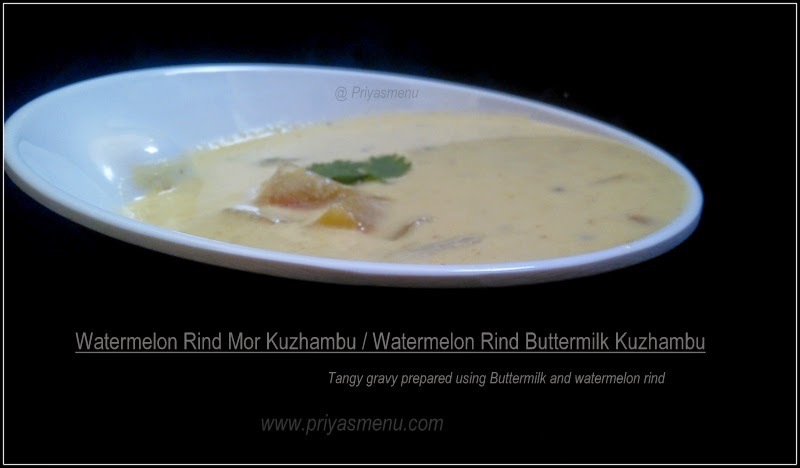 After posting couple of recipes using watermelon rind, here comes my third recipe using rind in buttermilk curry which is called as Mor kuzhambu. 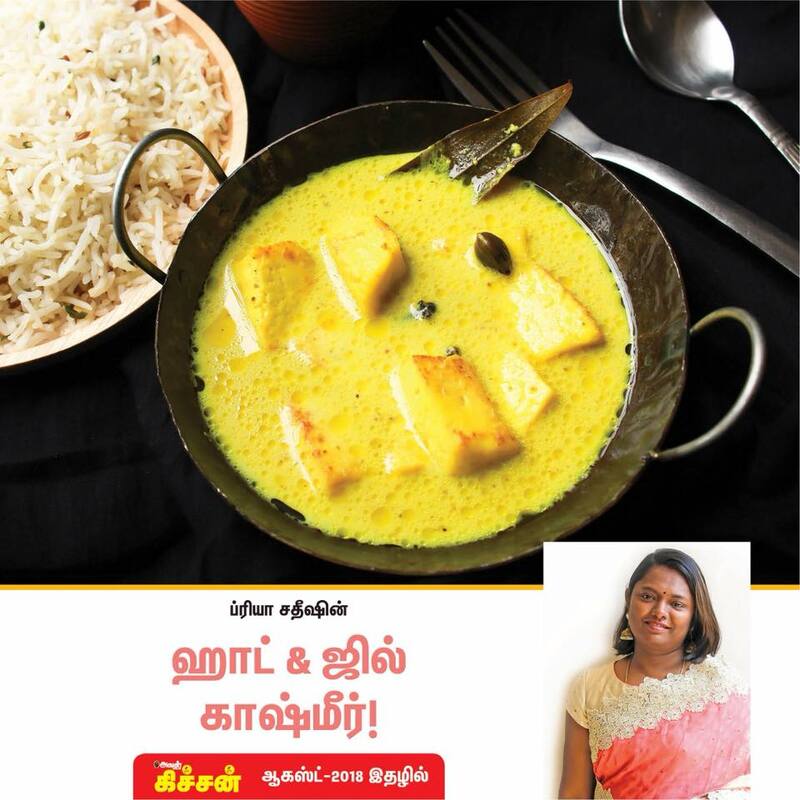 Mor kuzhambu is a famous south Indian kuzhambu which has a lovely flavor of Jeera and ginger with a mild tangy taste. 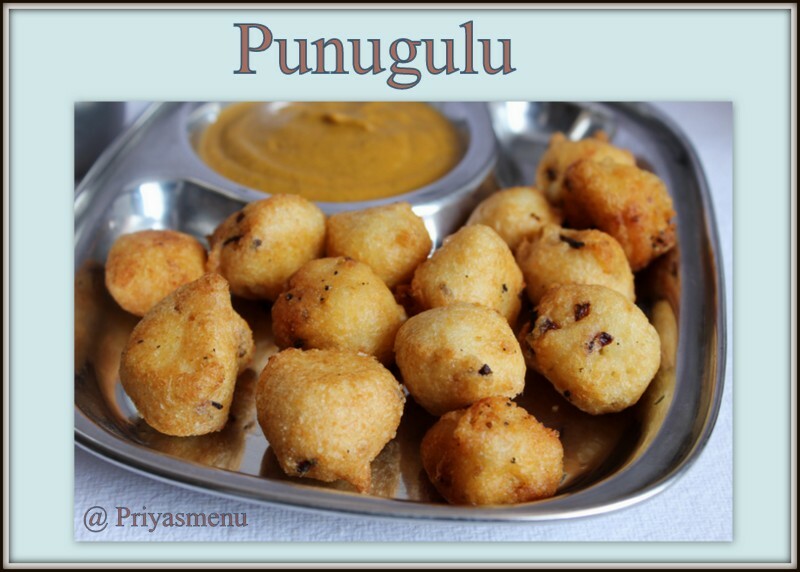 This is served with hot rice along with some veg curries and preferably spicy curries to balance the taste bud. 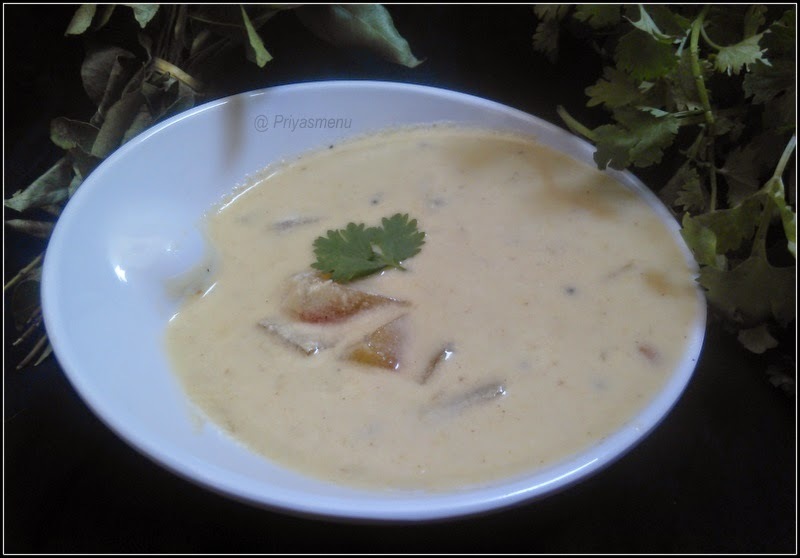 Urad dal vadai buttermilk kuzhambu (Vadai pota mor kuzhambu) is one of our favorite recipe and apart from vadai, vegetables like pumpkin, brinjal or Ash gourd can also be added. 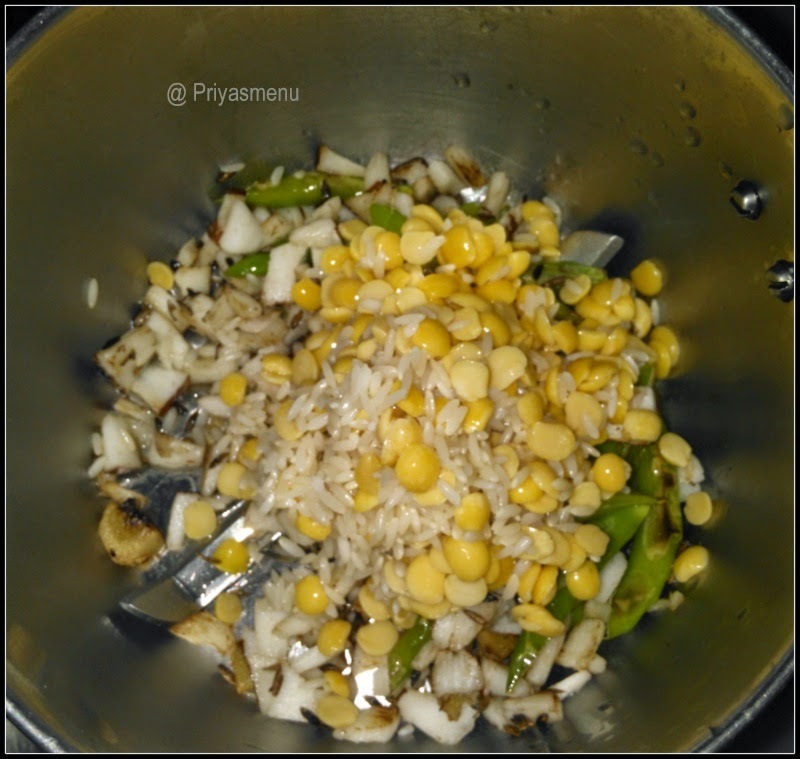 Soak rice and Toor dal for an hour. Whisk curd and add water. Mix and keep aside. 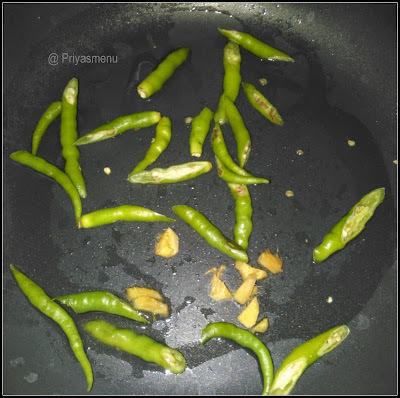 Heat 1 Tbsp oil in a pan and add chopped green chillies. Saute and add ginger followed by Jeera and coconut pieces. Saute for a minute in a medium flame, cool and grind into smooth paste by adding soaked rice and Toor dal. Heat the remaining oil in a pan and mustard seeds. 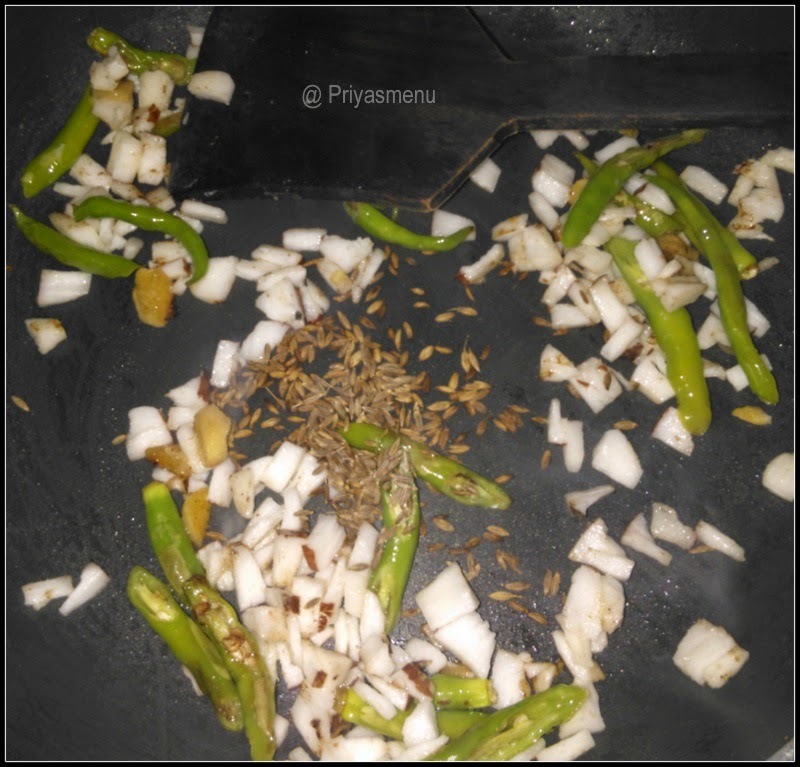 Once it starts spluttering, add Jeera followed by hing and finely chopped onions. Saute till the onions turns translucent and add chopped watermelon. Add Turmeric powder and salt. 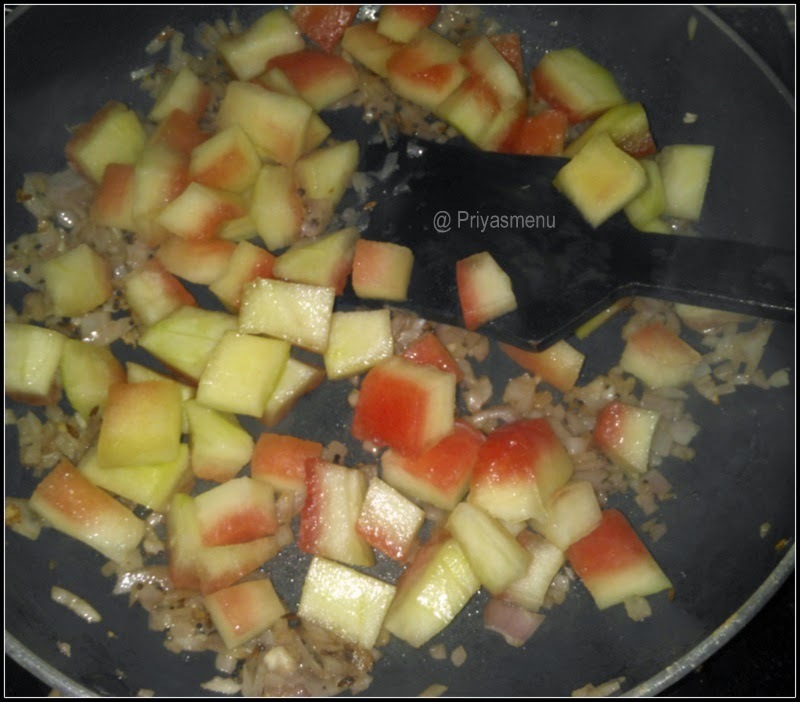 Mix well and add 1 cup of water. 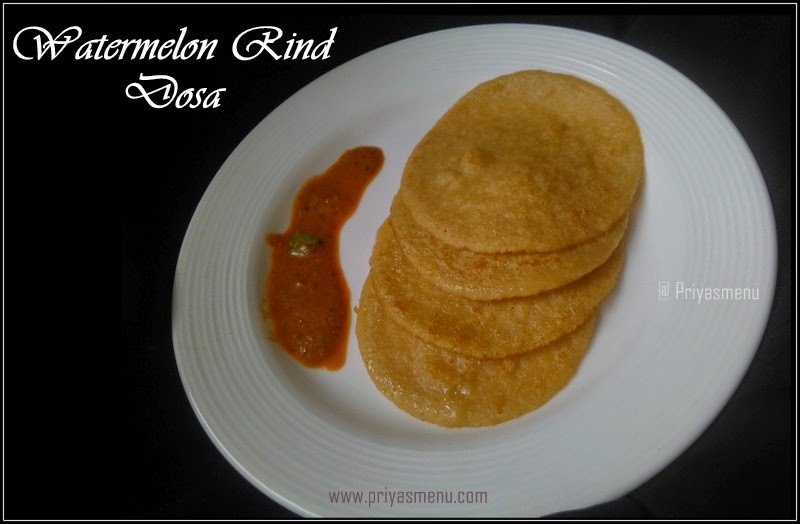 Cook for 10 minutes in a medium flame or till the rind gets cooked. Now add the ground paste and mix well. 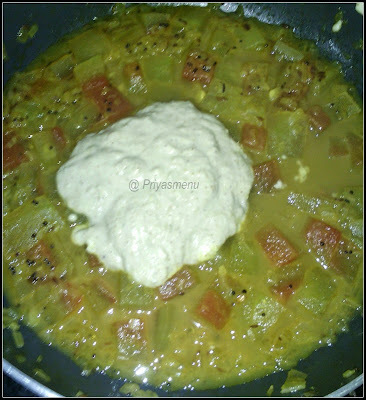 Cook for 5 minutes ( add water, if the curry is too thick ) and add the buttermilk. Adjust salt and cook for a minute. 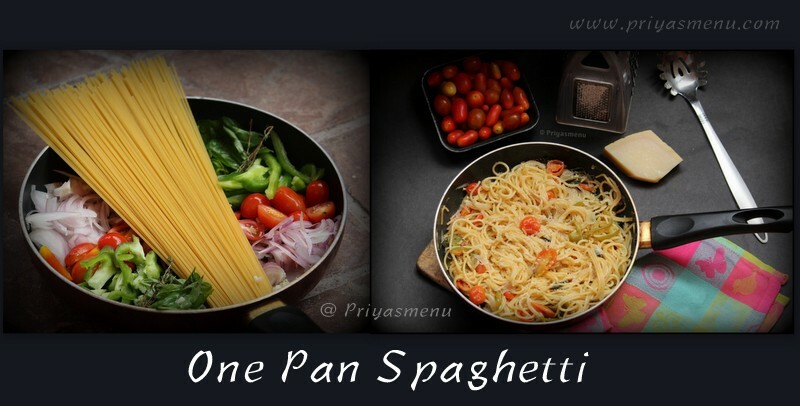 Garnish with coriander leaves or curry leaves and switch off the flame. 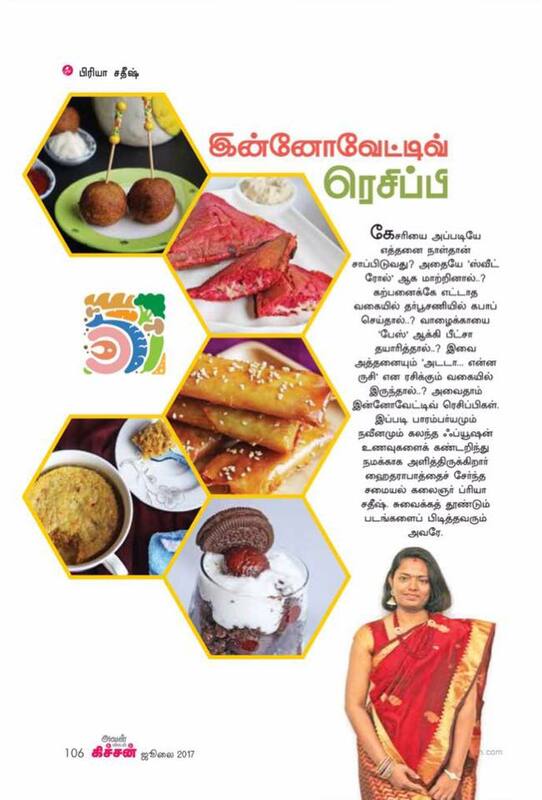 Do not boil kuzhambu for long time after adding buttermilk. 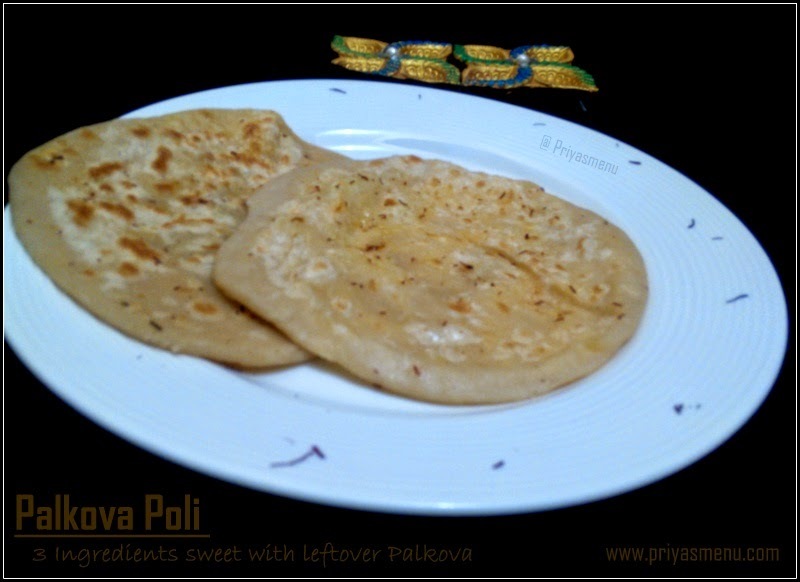 After diwali celebration, my house is filled with lots of sweets and savories and it is monotonous to eat and pack the same kind of sweets for my husband, so I tried a simple poli with a twist of adding leftover palkova sweet and served it for a evening snack. 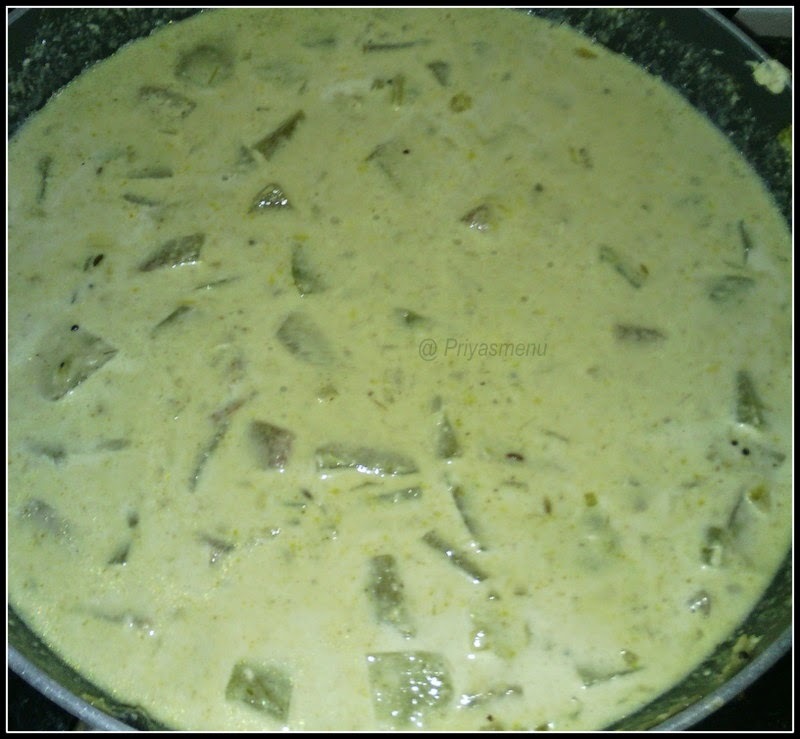 It tasted very delicious and was juicy after cooking due to the melted kova. Adding saffron is optional and I have added for the flavor and color. 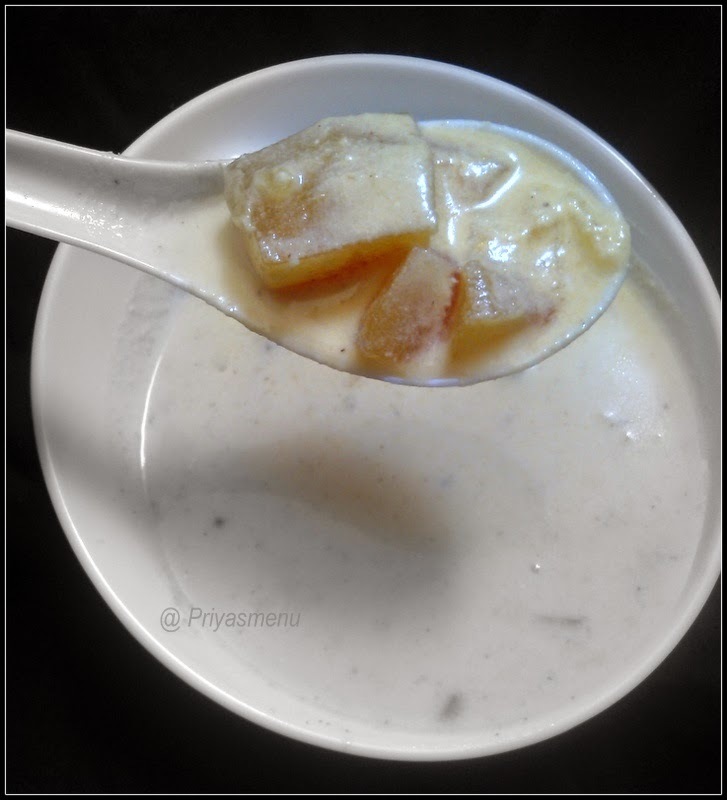 It can served hot or cold but personally we loved it hot with the melted juicy kova in every bite. 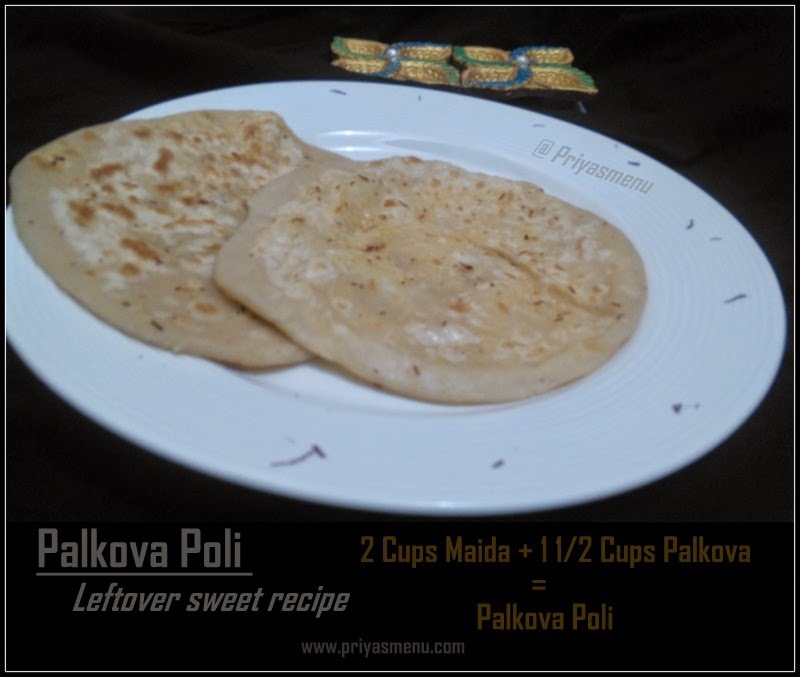 wanna try this simple and yummy sweet recipe using leftover palkova ? 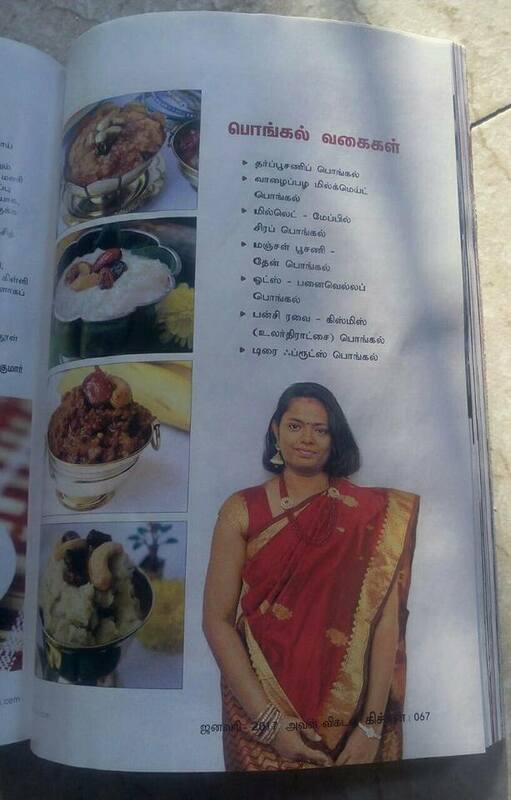 Take a large bowl and add Maida followed by salt. 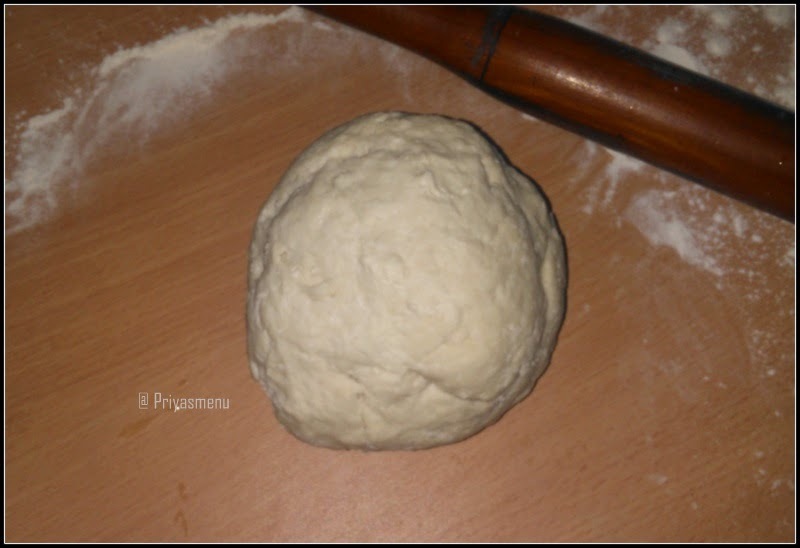 Add water little by little and make a dough. 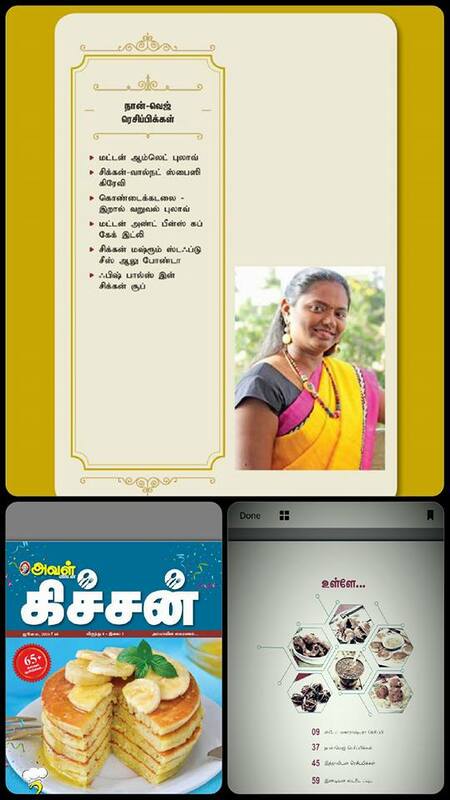 keep aside for 30 mins. 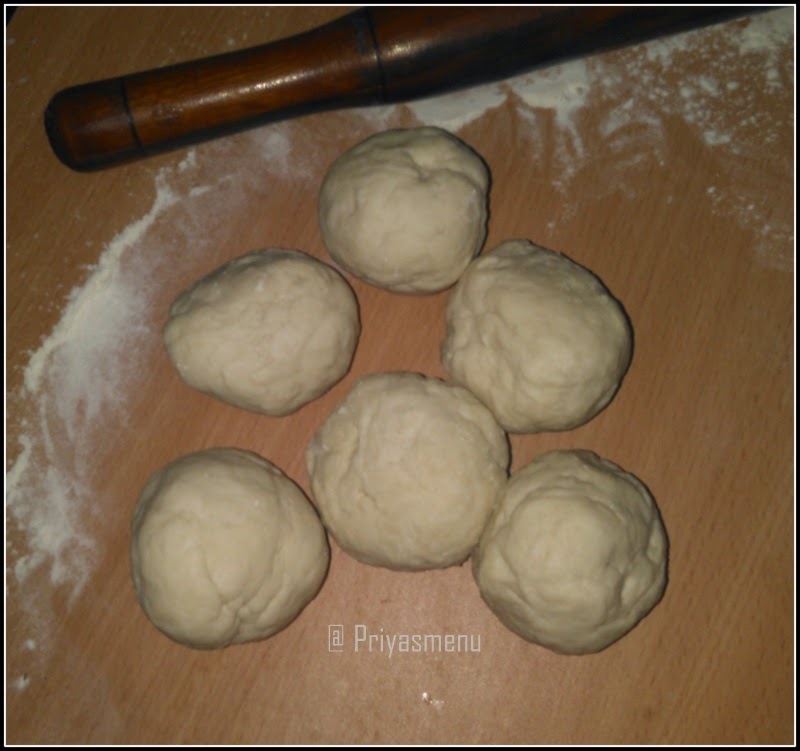 Divide palkova into 6 equal balls and keep aside. 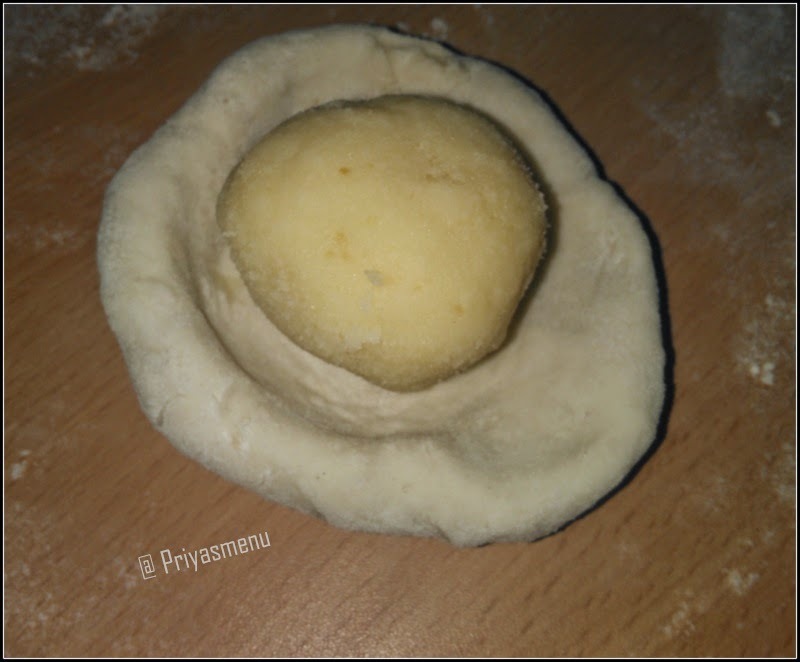 Divide the maida dough into 6 equal balls. 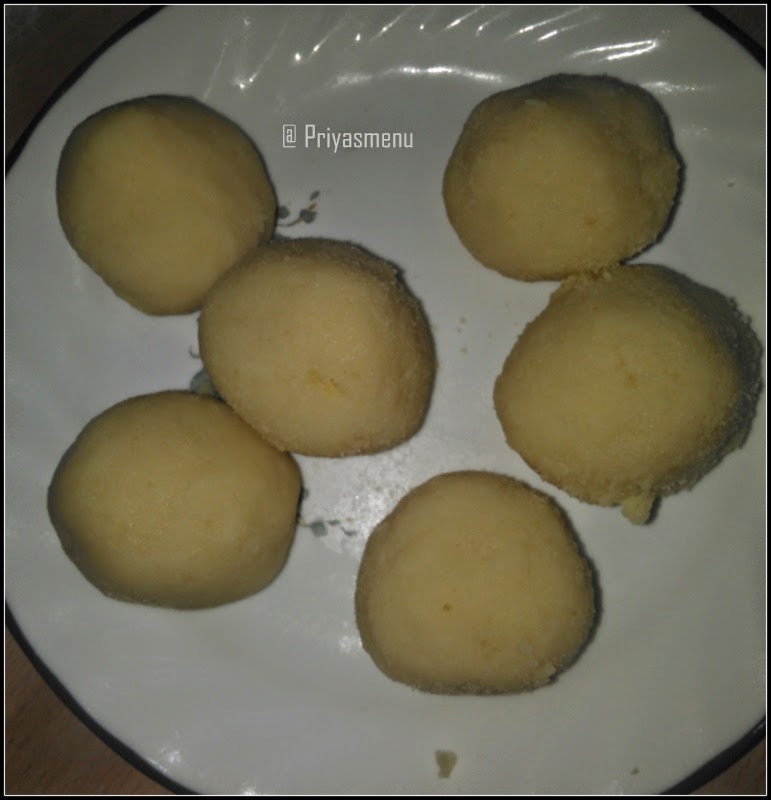 Take one ball and make a small cup shape to place the palkova ball. 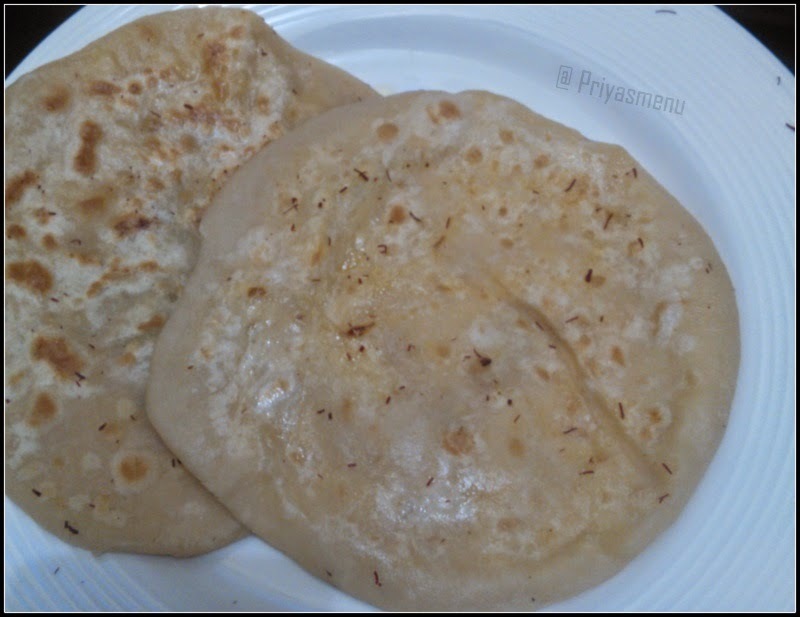 Heat tawa, place the poli and smear ghee on top it. 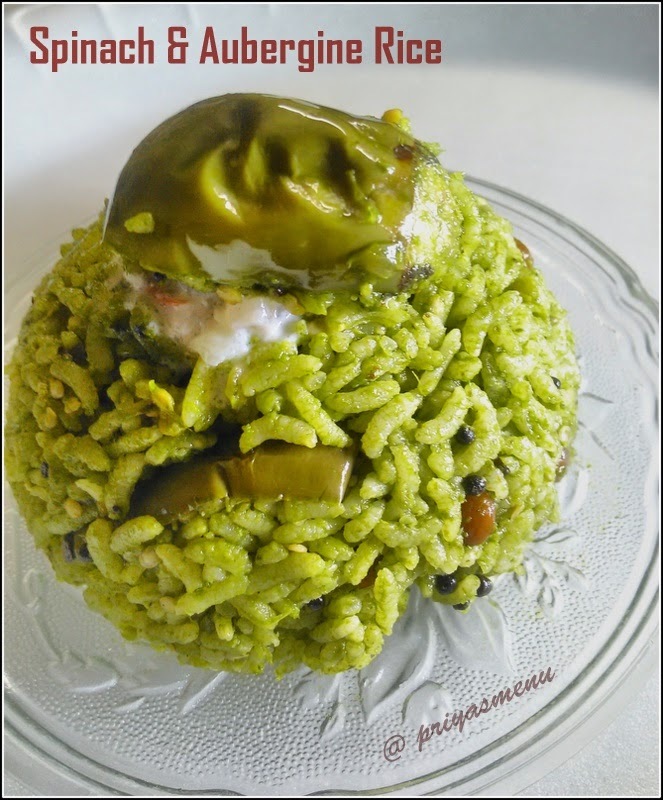 Sprinkle few strands of saffron on both sides of poli by turning the other side. 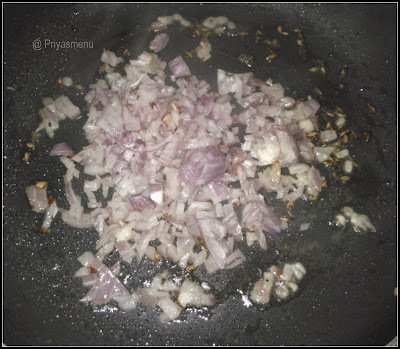 Cook for a min in a medium flame or till the both sides gets cooked. 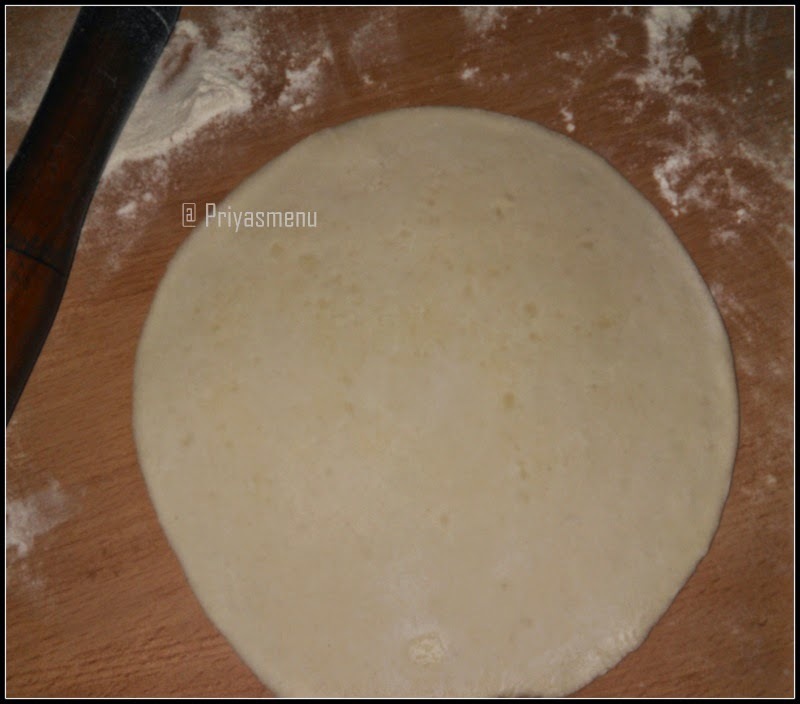 Once done, remove from the flame and repeat the process for the remaining dough.